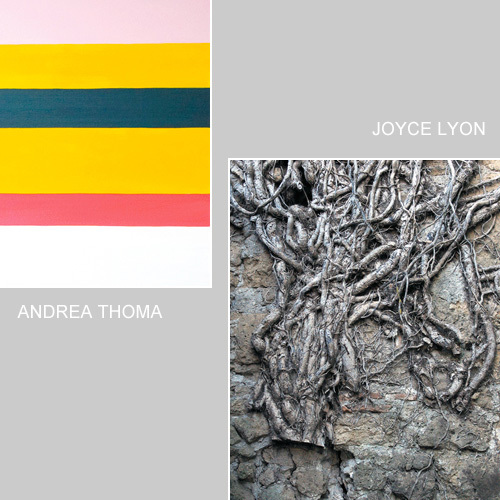 For ten years, artists Joyce Lyon (St. Paul, Minnesota) and Andrea Thoma (Leeds, England) have maintained a ‘transatlantic’ studio and email conversation about different notions of place. They first exhibited their work together in Dialogue in Place at the University of Leeds and the University of Minnesota in 2001. Dialogue in Place, Volume II documents their continued interest in place, but also indicates an extended practice across media. In new bodies of work, the artists consider place in its relations to time, intimacy and dwelling, and explore how different media make possible different modes of visual thinking.